In Finland the obligation to restore the forest after wood cuttings has been the basic principle of the law since the beginning of 1900 and until today. The Government encourages forest owners to use sustainable silvicultural practices in forest management. State subsidies are available for ensuring sustainable wood production, forest biodiversity and improvement of the forests’ health. Using forests for sawn timber and paper products began in the late 19th century. Nowadays forestry and forest industries account for approximately 5% of the Gross National Product. Compared to its size, Finland is more dependent on forests and forest industry than any other country in the world. As a consequence, Finland has accumulated an expertise in forestry and industrial manufacturing of forest products which is unique in Europe. The importance of forestry and forest industry as a source of employment continues to be an important factor in maintaining the vitality of rural areas and regional economy. In 2010 forestry and forest industry employed about 3% of the total workforce in the Finnish national economy, ¾ of that percentage work for the forest industry. 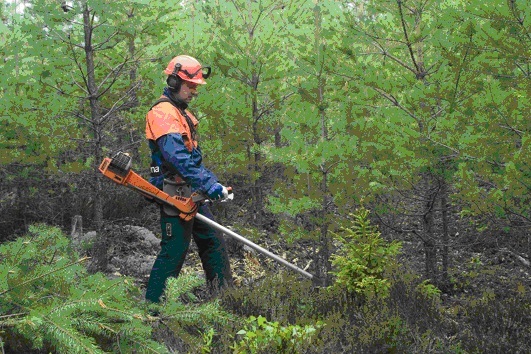 Forest-related services and the use and maintenance of non-wood products are an important part of forest management in Finland. Everyman’s Right gives universal right and opportunity to use forests for recreation, outdoor activities and collecting berries and mushrooms, as far as this causes no damage or disturbance. 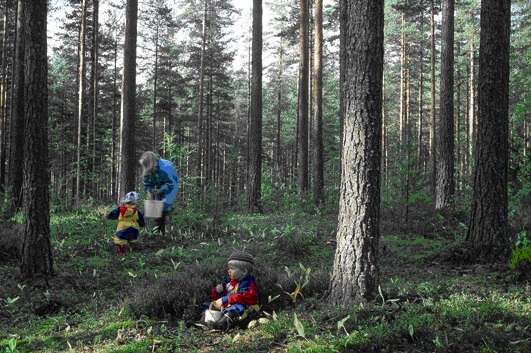 One of the future challenges of Finland’s forest ecosystems is climate change. According to the latest studies the annual mean temperature is predicted to increase by 2–6 degrees by the end of 2100. Expected effects on forests are for example: growing season is likely to lengthen, forest growth may increase wind and insect damage will become more frequent. Sustainable forest management is the best way to improve the ability of forests to adapt to climate change. In Finland great emphasis has been given to the mitigation of climate change by promoting the use of wood. These actions include increased use of wooden construction and wood-based bioenergy. 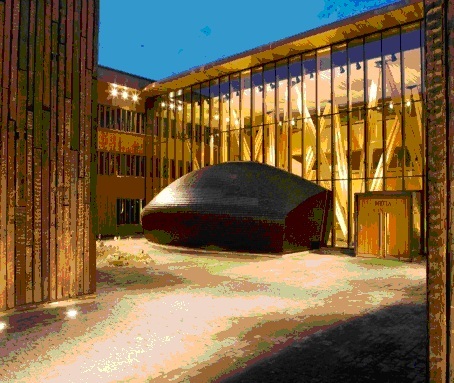 In 2010 wood-based fuels provided 22% of Finland’s total energy consumption, one of the highest figures within the EU 27.